Through our partnership with Cisco, Iron Bow Technologies provides our clients with a Secure Unified Network Architecture converging voice, video, data and mobility. Our client-focused solutions enable collaboration, increase productivity, ensure security and improve the overall impact on our global environment, while also reducing operating expenses and the total cost of ownership. 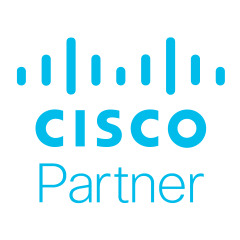 Iron Bow is a Cisco Gold® Certified Partner with Advanced Specializations in Collaboration, Data Center, Enterprise Networks and Security Architectures. Iron Bow also holds Masters Certifications in Collaboration, Cloud Builder, Security and Cloud and Managed Services. With over 50 Cisco Certified Engineers and a partnership with Cisco spanning over a decade, we are able to offer our clients services ranging from consultation, planning, design, implementation, operation and optimization of IP Network Infrastructures. Iron Bow’s Hosted Collaboration Solution for Government (HCS-G), powered by Cisco, provides cloud-based unified communication and collaboration applications within a highly secure, virtualized platform under a centralized management system. This approach meets federal cloud mandates, reduces costs and easily connects end users on any device, resulting in reduced IT complexity for your agency. HCS-G is easily scaled to the size of your agency – this flexible solution is your cost effective and secure answer to accelerated adoption of cloud services. Cisco HCS-G is FedRAMP authorized. Email us at HCSG@ironbow.com for more information.